Catherine McAdams was born on September 19, 1956 in Chicago to Joseph and Mary (nee Parker) Mendez. She died Tuesday, June 19, 2018, in Oak Lawn. She worked concession stands at Comiskey Park in Chicago for over 20 years. Catherine loved to spend time with her family, especially her children, and was loved by all. Catherine is survived by her son, Herman (Sandra), daughters, Angel and Samantha; grandson Alexander; siblings, Patricia (the late Lee) McNeil, ; Raymond (Mary) Mendez, Francis Mendez, Charles (Julie) Mendez, Michael Mendez, William Mendez and Charlotte Mendez (Ernest Fields) ; brothers-in-law, Robert and Ronald, sisters-in-law, Margaret and Patricia; and several nieces and nephews. 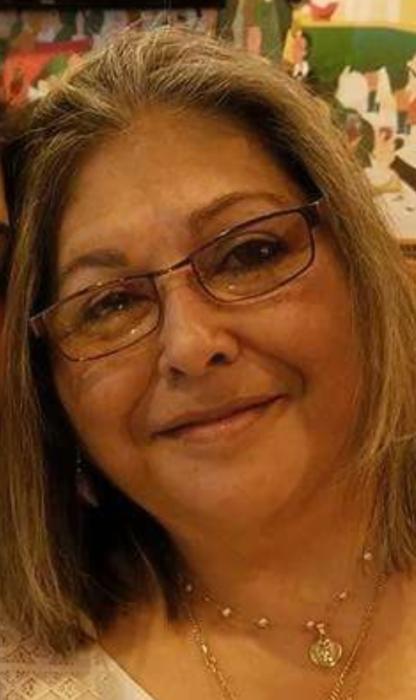 She was preceded in death by her husband, Herman McAdams; parents, Joe and Mary Mendez; siblings, Jo Ann Mendez, Joseph Mendez, John Mendez and Theresa Mendez. Visitation is Friday, June 22, 2018 from 2:00-7:00 pm, with memorial service at 7:00 pm at New Hope Church, 5100 W 115th St., Alsip, IL 60803. Funeral mass is 10:00 am, Saturday, June 23, 2018, at St. Barnabas Catholic Church, 10134 Longwood Dr., Chicago, IL 60643. Interment will be at the Holy Sepulchre Cemetery, 6001 W. 111 St. in Alsip.